Running Watch City is always frought with challenges. the City's power grid is failing. What ARE we to do? Two proposed remedies have emerged. and the heightening drama among them that unfolds! In the wake of a punishing winter which saw a record number of power failures, HER MAJESTY Queen Mercy Roulette called for a hearing last week to discuss a complete redesign of Watch City’s power grid. A presentation was given by infamous time traveler and mad-hatted aeronaut CAPTAIN EDWARD VON ARKHAM, and renowned scientist and scholar DOCTOR DAVID McMORAN WILSON detailing the redesign. The proposed power system, developed by Von Arkham and Wilson is based off of the work of the great Nikola Tesla, and would operate on the principle of wireless energy transmission through a network of resonant transformers installed throughout the city. These transformers, or “Tesla Towers” would be built by local workers, and provide Watch City with a steady supply of clean wireless energy. 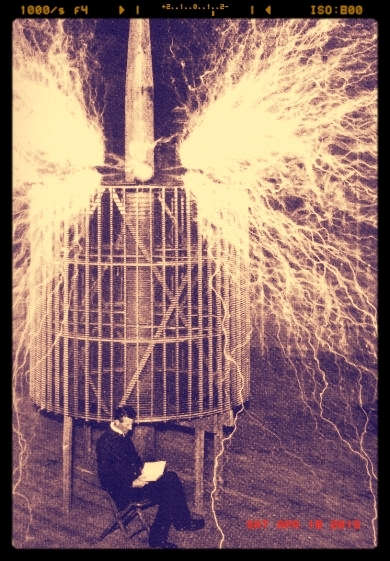 The original system, created by Nikola Tesla, was designed to sustain a global wireless network, though it was ultimately abandoned owing to lack of funding.